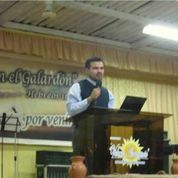 GLOMOS Pastor Jose leads a church in one of the most dangerous zones of San Pedro Sula, Honduras. San Pedro Sula has recently been named "The most violent city in the world." Part of Pastor Jose's ministry includes the rehabilitation of drug and alcohol addicts and gang members. Recently, three days of fighting between rival gangs left a death toll of 8 people, including women. The police intervened to take control of the situation and in their efforts to find the people responsible for the killings, they broke into Pastor Jose's home demanding information. Pastor Jose was forced to take one of the wounded victims to the hospital the night before during the cross fire - the Police thought he was aiding one of the gangs. He was brutally beaten and his life was threatened by the police. Now the gangs think that he gave vital information to the police as well. As a result, a young convert who had been rehabilitated from the gang world, was executed by his former gang, leaving the church deeply saddened. "We are under attack," Pastor Jose says. "The Church is suffering and mourning the death of our brother in Christ, but we are determined to continue being the light in the midst of darkness, the only hope to those trapped in this way of life. We will maintain our faith in the Almighty God."